Happy birthday to The Hayfamzone Blog! We turned 8 years old earlier this month and we are now charging into our 9th year. Comics fans in over a dozen countries each day check in on our latest doings and we're always striving to stretch our sticky tentacles a bit farther. For example, the Hayfamzone Board of Directors is toying with the idea of ordering a magnetic placard to slap on the side of the Hayfamzonemobile and we'll be sure to show what that looks like if the motion gets approved. In the meantime, you might have a little fun seeing the results from an image search of "The Hayfamzone Blog" and you can investigate those for yourself right over here. 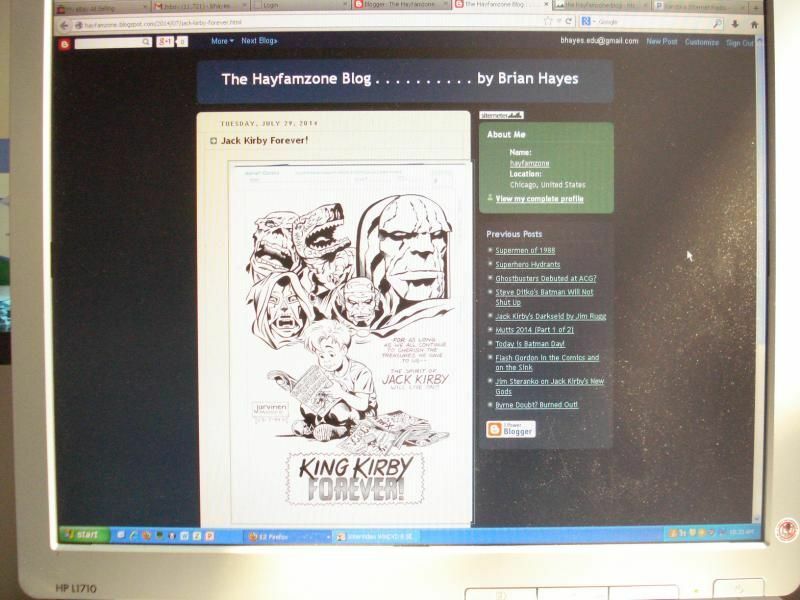 Clicking on any one of those images will then whisk you over to a Hayfamzone Blog article related to that image. Enjoy! 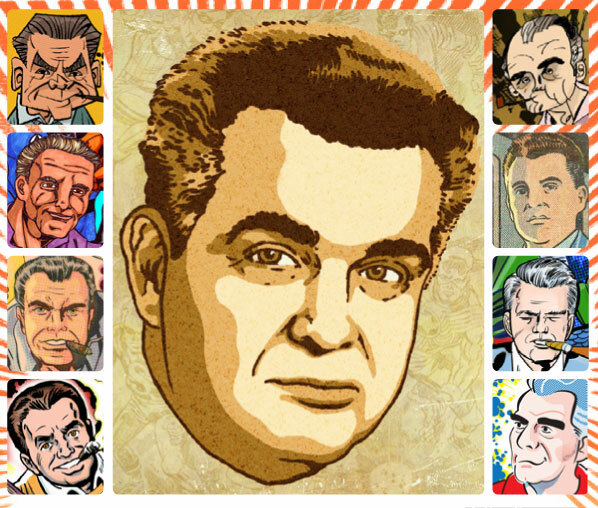 The above spot-on portrait of Mr. Jack Kirby by Ashley Holt was one of the entries in last year's Annual Portrait Gallery honoring The King of Comics. The Gallery is sponsored by Kirby-Vision and housed in The Kirby Museum. Drawings from one and all are being solicited for this year's Portrait Gallery starting right now. Please look right over here for details. 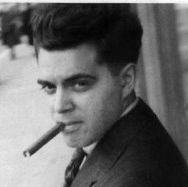 Last year The Comics Journal posted an extensive article about Jack Kirby and it somehow escaped my notice until this week. It includes a number of vintage photographs I hadn't seen before like the fun one above. You can read the entire article and see all the photos over here. 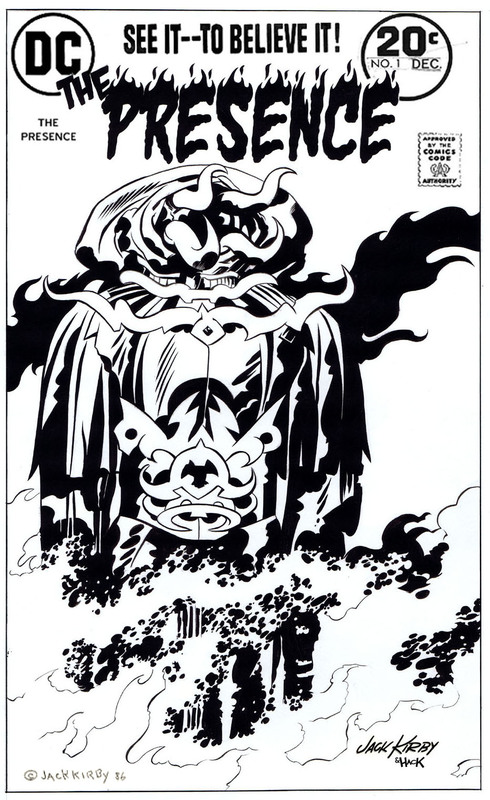 Crack open the King Kirby Ale and let's all holler Hooray for Jack Kirby! Back here and here I shared my outrage with you at one newspaper writer's use of the phrase "comic book hair" regarding the brightly-colored locks of a mass murderer, and now I find out there is an even more widespread pejorative use of "comic book." The livelihood of trucking hinges on an individual driving. And driving. And driving. Sometimes a trucker might decide to keep rolling even when his alertness is impaired; for public safety there are laws limiting the length of time a trucker an drive consecutively. Keeping a driving log electronically is catching on but many truckers still handwrite their log on paper. Of course this system is rife with the possibility for abuse. Paper logs are viewed with such skepticism in the law enforcement community that they're often referred to as "comic books," said Stephen Keppler, executive director of the Commercial Vehicle Safety Alliance, which represents motor safety officials. The full article that contains the above quote is over here.